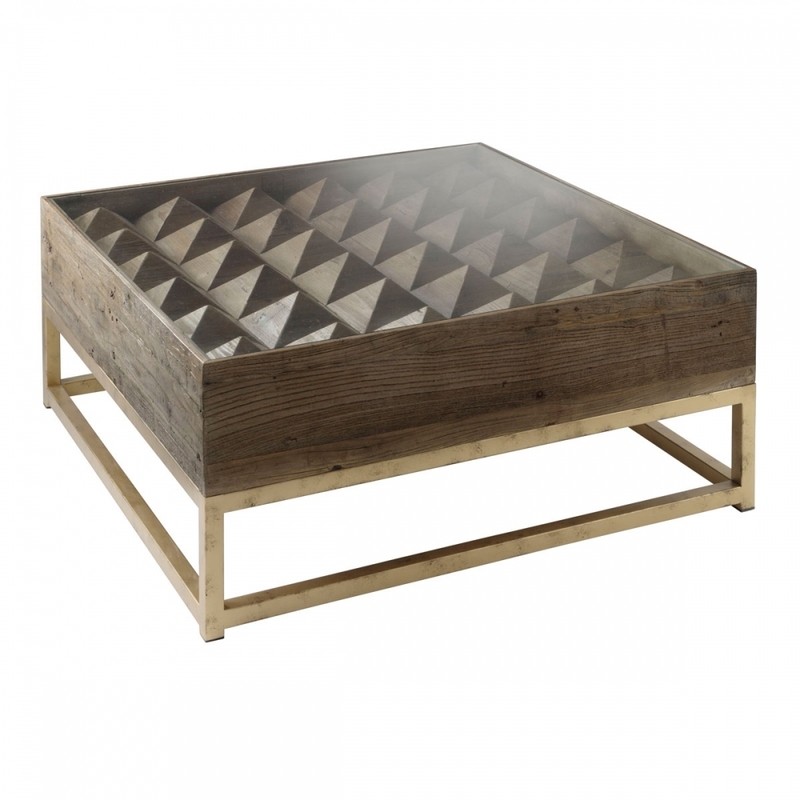 Stunning and original coffee table which is inspired by the Alpine mountains. The rich dark wood is full of charm and authenticity. A gold finish frame adds elegance whilst the unique carved wooden peaks, inset underneath the glass, create an interesting place to display shells, old coins or other collectables. A truly original piece that has the power to transport you to the heady foothills of the Alps.